Because there is no "F3" on a phone or tablet. (Don't forget that Win10 is not just for PC's). Once they (probably) add Maps, you'll be able to see your coordinates. Until then, sorry, there is no "coordinates" in the game. In the meantime, as I've suggested before, build your home near the spawn point. That way you can go anywhere and as far as you want and then use your Compass to get back home. 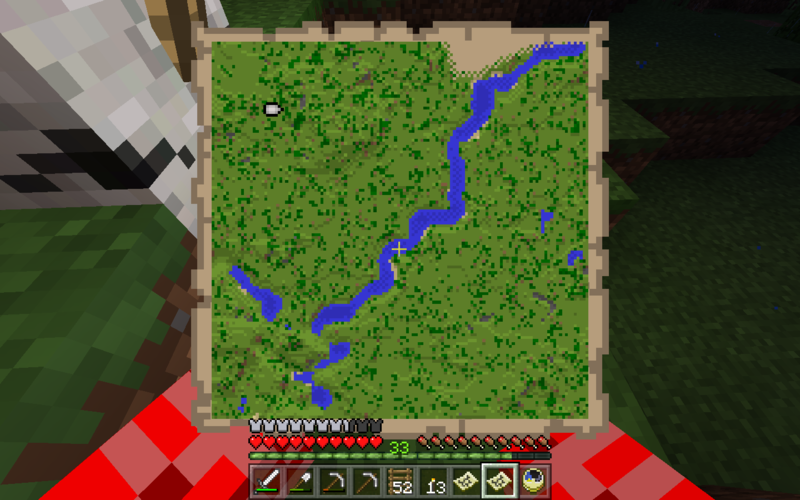 This is what I was wondering too even when I try make a map nothing really happens, and F3 doesn't work, how do we find out where we are and stuff? You can't make a map, and there's no way to tell where you are in the world.. I'm sure coordinates are coming. They'll add them to maps (like the consoles), have a small icon you can toggle the display of coordinates on/off with, or "some cool way" we haven't thought of. We may even be able to mark/notate places on a map. Who knows? Patience. Until then you could do what I do: When you're somewhere that you want to remember (like at the mouth of a cave persay) just take a screenshot (WIN key + PrtScn|SysRq) and rename the file to what it is that you want to remember, then you can Alt + Tab to get back to where you were... It's not as cool as having a build in system, but it's working for me until something better comes along. Gave boat x 1 to Player"
The item won't appear in front of you, instead you will find it in your inventory. AND also make sure your ten slots have at least one slot empty or else you won't receive the item. How did talking about "coordinates" (almost a year old thread, BTW) change to talk about "commands"? Shouldn't we be making a new "commands" thread? Getting your coordinates is just a matter of entering the command /tp ~ ~ ~ to teleport you to where you already are. There is also an add-on available that continuously displays "cordinates" (misspelled) available from MCPEDL, although it doesn't update as you walk, only when something updates your HUD. But you can get it to update just by selecting a different item in your hot bar. I have it installed globally.